Every time I step close to the edge of an elevated area, my hands start to sweat. It’s a natural reaction because I’m afraid of heights, and have been ever since I can remember. I don’t like ladders, hotel balconies, or views from the summit. I think I’m getting better though, and rarely do I back down from a challenge to see someone’s roof, spit off a balcony, or pose for a picture with my back to cliff’s edge. So when some of the students from San Pedro School wanted to go to San Marcos to jump off the rocks, I agreed without any deliberation. 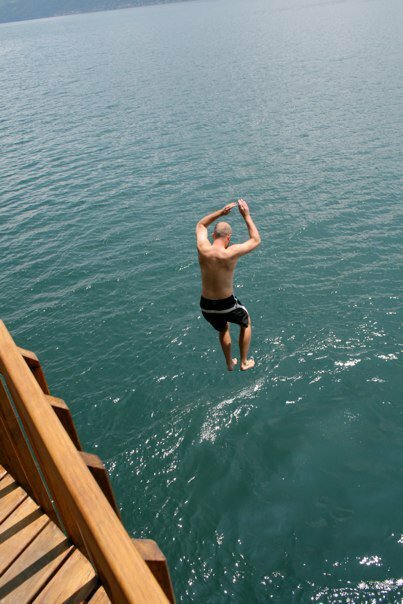 Once you arrive at the dock, It’s a 5 minute walk to the rocks, and there’s a nice little cafe next to the rocks where you can debate with your friends on who’s going to take the plunge. We make it to the platform and I accidentally look over the side. “Whoah. This is way bigger than I thought . . .” I’m concerned about rocks and my general safety, but the locals say that you’ve got over 25 feet of water before you touch the bottom of the lake, and some local workers have removed all the nearby rocks and built a nice platform for a safe depature. My group is ready, which means that the guys are going first. I’ve got my trunks on so there’s no need to have second thoughts. I toss my shirt and flip flops to the side. I step back to the end of the platform. For me, the thought process is simple. 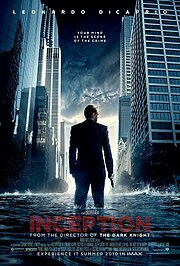 If I think about it I’m not going to do it. So I don’t think, and start running off the edge . . .
It’s at this point where I realize that I’ve got a long way to go. Immediately, relief and joy wash over me from another challenge met. 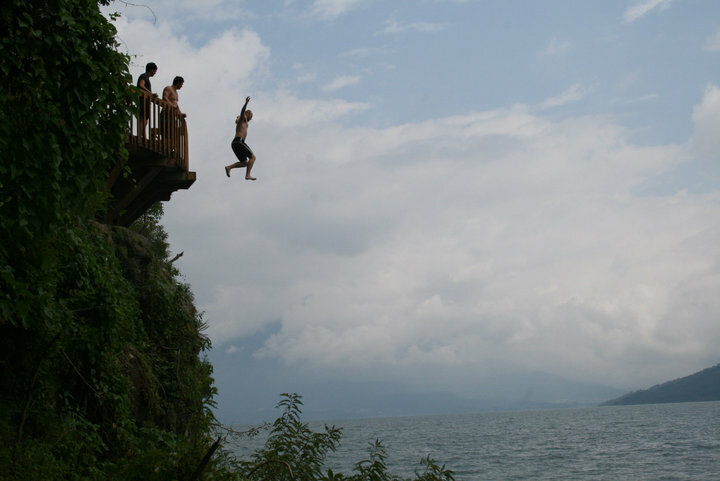 I swim to the side to watch the rest of the guys jump off. 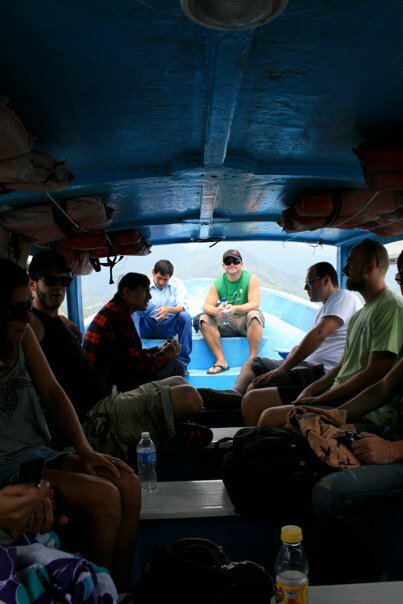 The view from the water isn’t as scary as it is from the top. Sometimes it’s the “not knowing” that’s the scariest. I swim over to the small rocks to relax. With my big accomplishment completed it’s time to have fun. My friend Amy has a nice Canon DSLR and I tell her that I’m going to dive. She’s perfectly situated for a perfect shot. 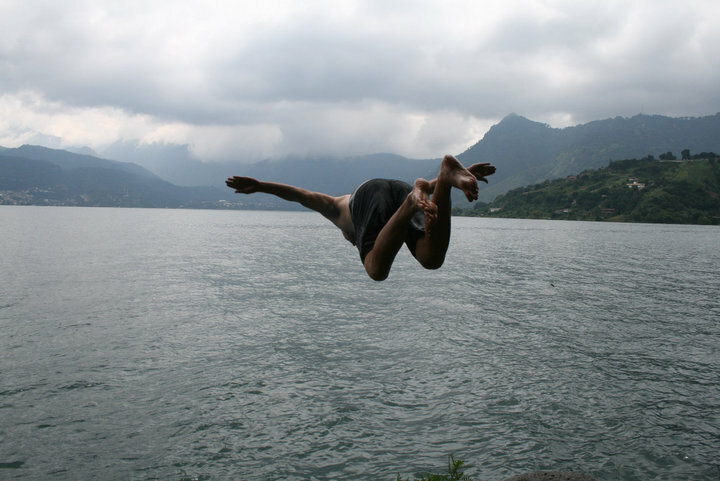 This is me mid-air as I’m diving off the 3 meter rocks. I got a 9.5 score for this dive. If I had pointed my toes, I would have received a perfect 10. You might be thinking it’s strange that I dove off the one that was almost 10 feet. 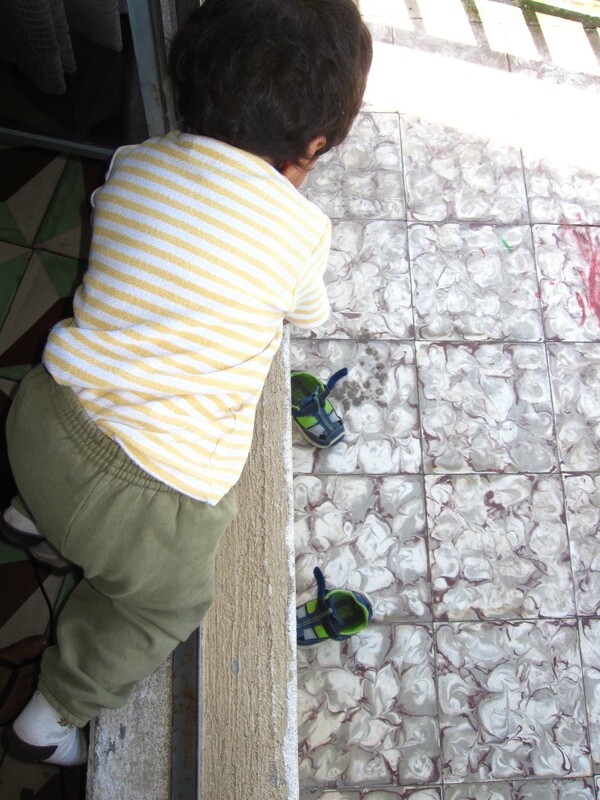 I suppose after you make the big leap, everything seems more manageable. 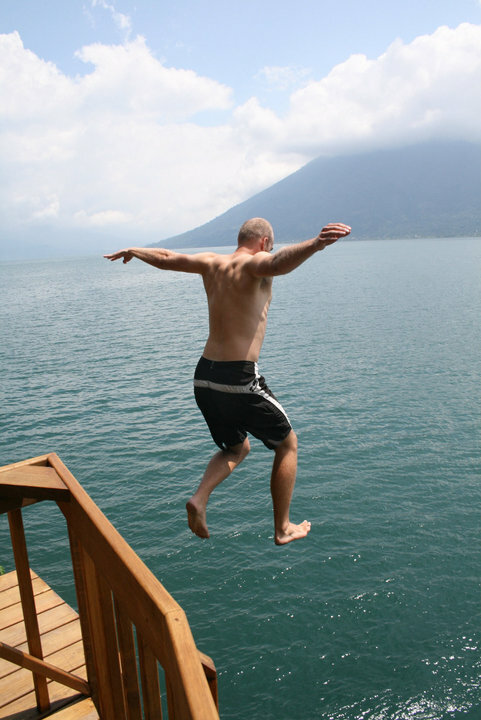 This entry was posted in Facing a Fear, Guatemala, I didn't plan this, San Pedro La Laguna on September 23, 2010 by Aaron. 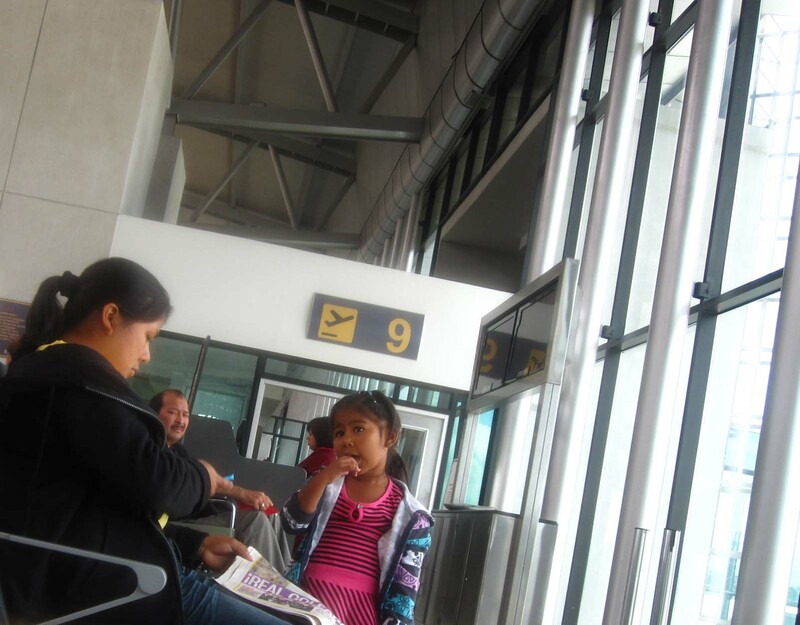 I breathed a sigh of relief when I got through security at the Guatemalan airport to come back to the States. 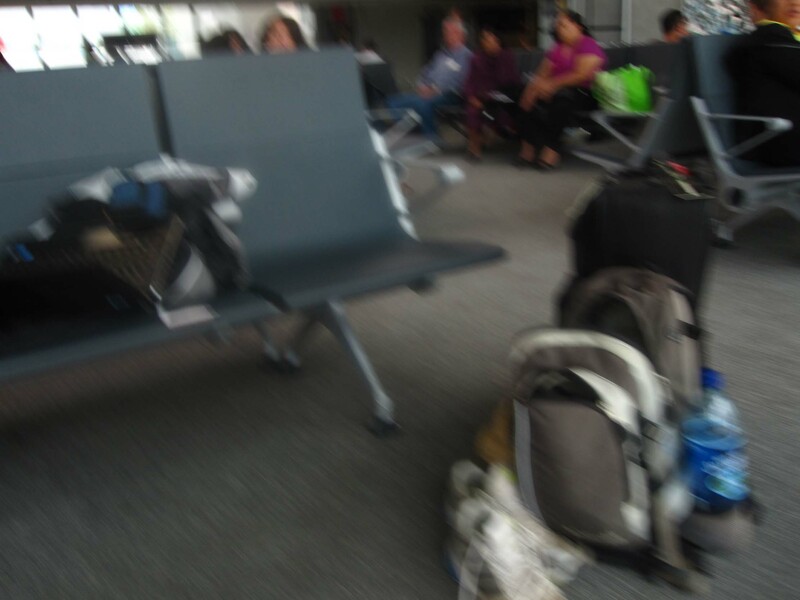 It wasn’t that I was concerned that they would find anything illegal or hassle me about some souvenirs that I was trying to bring back; it’s that I just don’t like the fuss and invasiveness of the process. Strangely, there were only a few people in line, and the procedures were brief. The security attendant only wanted to look in my bag of toiletries. Despite having an electric toothbrush that really looks like a weapon, she chose to interrogate me about the small fingernail file that I always travel with and I never have a problem with security, because the blade is a meager 1.5 inches. Still, she called for assistance and then there were 2 more people inspecting the weapon. I told her that it wasn’t important to me, but I didn’t think it was a big deal. I had traveled with it from the United States and to Mexico without a problem so it seemed fair to let me leave the country with it. Fully aware that this conversation wasn’t necessary, I persisted, because I was feeling comfortable with my Spanish and wanted a challenge. The other attendant said with a smile, “While they may have let you travel with it in Mexico, our security is better in Guatemala.” I responded with “Well, of course!” and grinned back at her. After that exchange I was on my way to the gate. 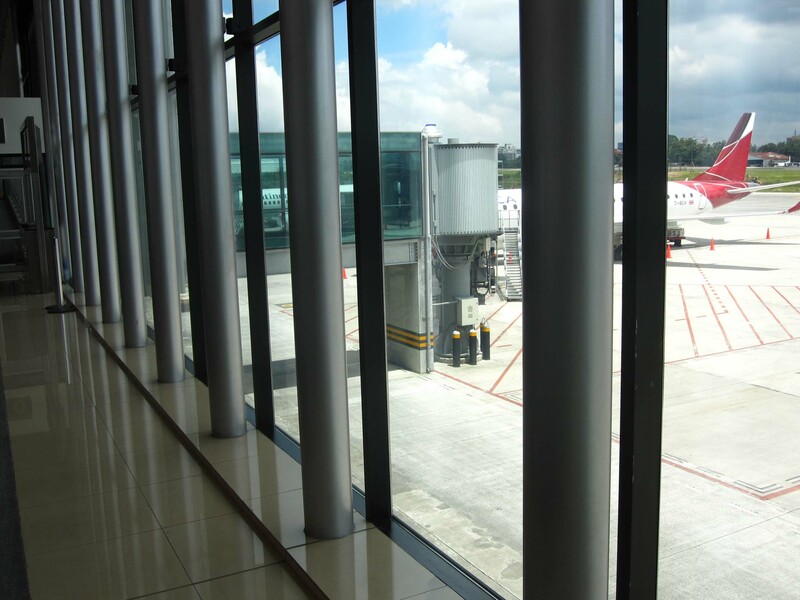 So I found my gate and sat down and reflected on how it felt good to have order and procedure and red tape. Often, I lament about the rules and silly procedures that slow us down, but this time, the whole process gave me a sentiment that felt like home. I was now sitting in air conditioning, typing on my computer next to the business passengers, and after finishing a Subway sandwich, I was comfortable. 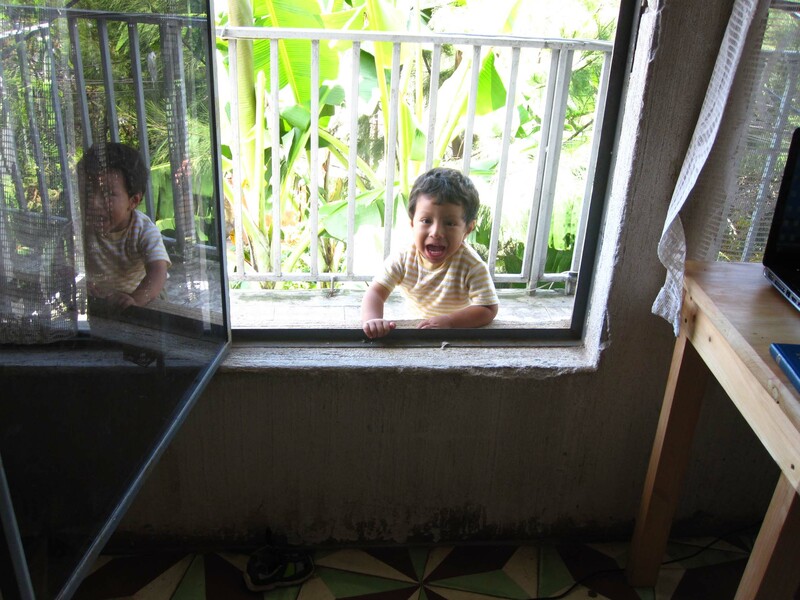 My thoughts returned back to San Pedro La Laguna, and the family that I stayed with. I’m not sure they’ve ever taken a flight, and being that it takes four hours to get here, they’ve probably never even been to the airport. People they know are local, there’s no need to travel. I began thinking that this entire situation, this airport, the forms, the queues, the security, all of it would make them feel really uncomfortable. 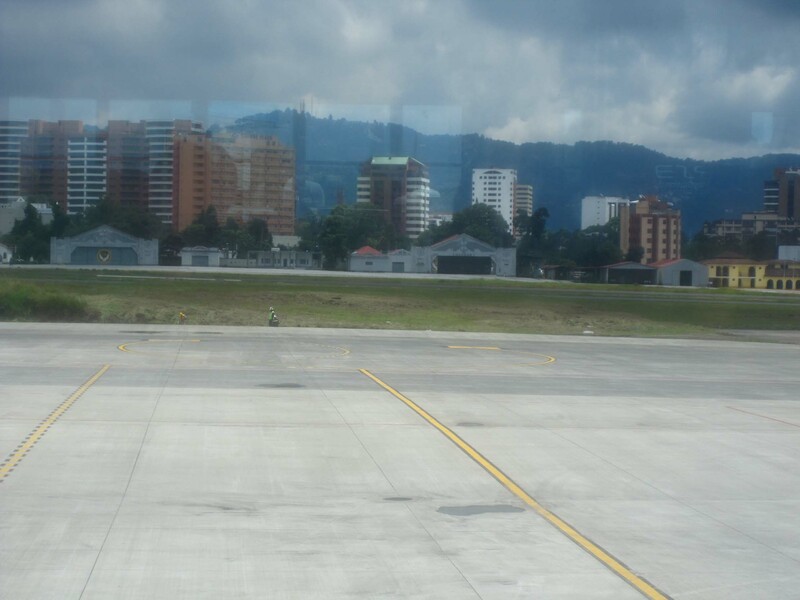 Even being near Guatemala City makes them feel uncomfortable, but for me, the city, and this airport makes me feel like I’m back on track, back to the life I really live. It’s strange to think how the same situation can be so calming to one person and so frightening to another. I realize that I live in a world of polished metal, large glass windows, conditioned air, new clothes, perfumes, computers, and seats that were replaced just last year. I consider these things valuable, but does that mean that the rusted metal, small windows, second-hand clothes, old televisions and well-worn seats aren’t? How exactly can I compare these two worlds? Should I? Even in a world of shiny things, sometimes the best things can’t be bought. 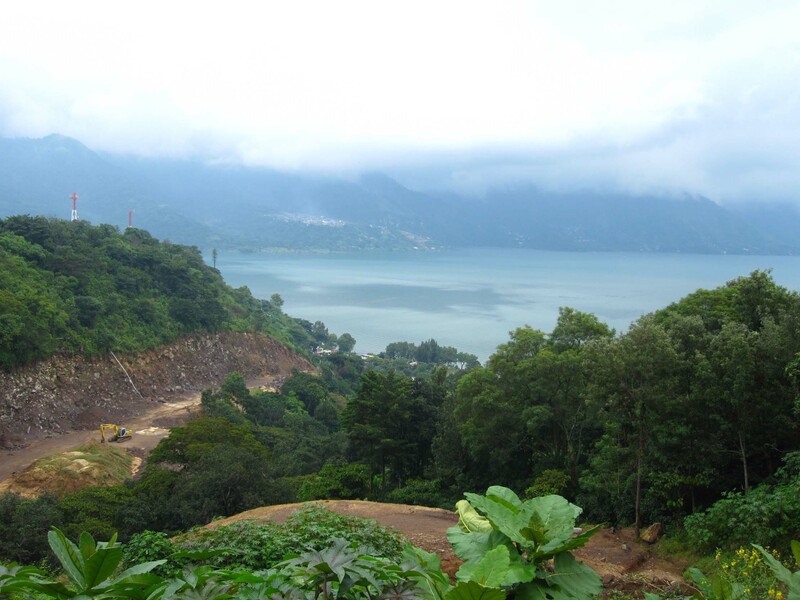 This entry was posted in Guatemala, San Pedro La Laguna on September 23, 2010 by Aaron. I had every intention to learn a little bit more about the effects of mal-appropriated economic distribution in the world of international development, but another coffee patron interrupted my studies when she introduced herself just inches away from my face. During my last full day in San Pedro for awhile, I went to get some coffee and to read one of my nerdy books. 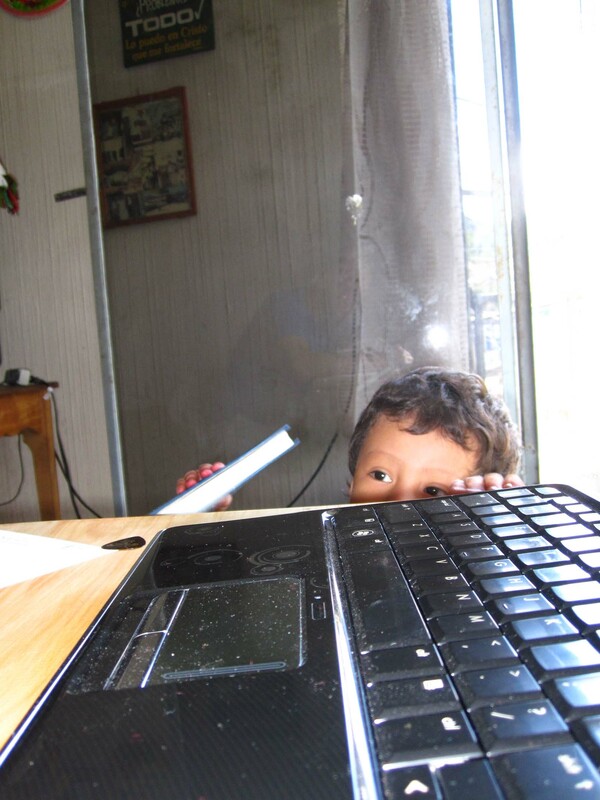 I’ve been re-reading “Economics in One Lesson” in preparation for my fellowship in the Dominican Republic and I had just opened it to my bookmarked chapter when Angelica crawled up on the chair next to me. I stick out my hands and mirror what she is doing. It’s one of those games that kids play in school where they put their hands out in the air and the other person is supposed to mirror the movements and slap the other person’s hands at the correct times. At this point I’m just laughing out loud. This darling of a 5 year old has completely captivated my attention and is depriving me of economic theory and warm coffee. She’s quite demanding and says “Hey!” as I look away. So after we put both our hands on our shoulders, we put our hands behind our back. I still don’t know what game we are playing, but when she brings out her right hand with two fingers holding up, I’m thinking we are playing a counting game. I quickly make two fingers and she laughs and motions to put our hands behind our backs again. She brings out 5 fingers this time, and I bring out 4 fingers. She’s mad now. I screwed up the game. We have to start over. Ok, ok. I’m getting it now. We are playing rock, paper, scissors. I’m good at this. I’m pretty sure I can beat a 5 year old. I bring out scissors and she brings out a rock. I lose. She pinches my cheek and insists that the game begins again while she is still pinching my cheek. I am not familiar with the Guatemalan rules regarding rock, paper, scissors, but this is just kind of silly. This time, I win. She makes me pinch her cheek. Now imagine the situation that has transpired here. There’s a lukewarm cup of coffee sitting next to a book about economic theory and a 27 year old bearded man wearing shorts is playing rock, paper, scissors with a 5 year old Guatemalan girl and they are pinching each others cheeks and preparing for the championship. I show paper. She shows scissors. Oh, what an evening . . . instead of learning more about international development I played rock, paper, scissors and had to drink my coffee cold because I got beat by a five year old Guatemalan. I’m sure there’s an economic lesson in there somewhere, but I think I’ll reopen that chapter another day. 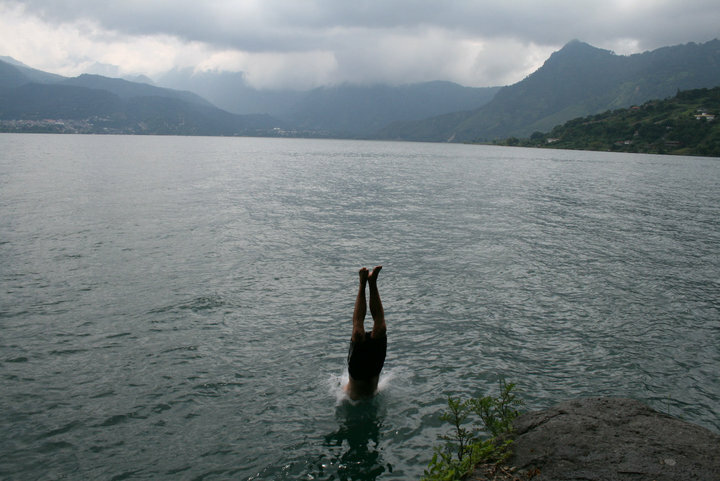 This entry was posted in Guatemala, I didn't plan this, San Pedro La Laguna on September 20, 2010 by Aaron. After class today I had the front door to my room shut. You can access my room via the balcony . . . and that’s just what Hector did. Oh, you left your shoes in here? How did that happen? Yep, there they are. Looks like “you need to get them” huh? A massive amount of effort. 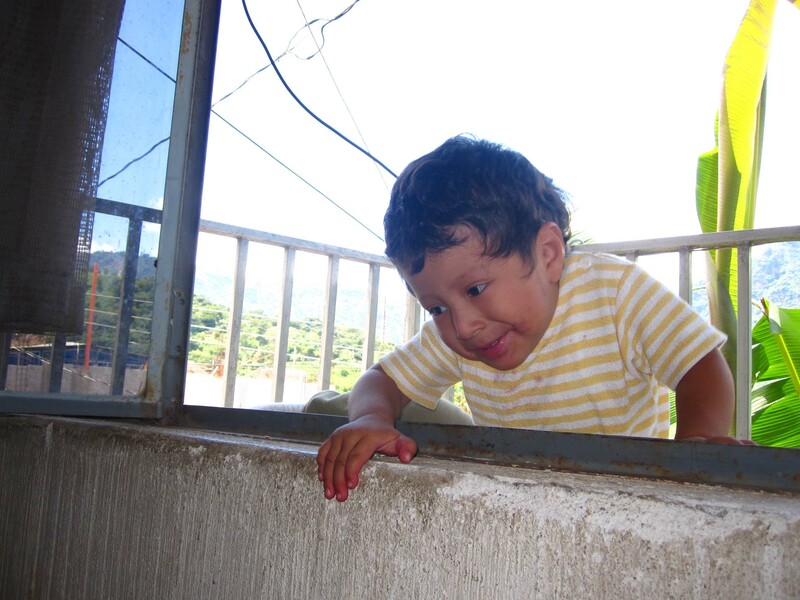 This entry was posted in Guatemala, I didn't plan this, San Pedro La Laguna on September 16, 2010 by Aaron. 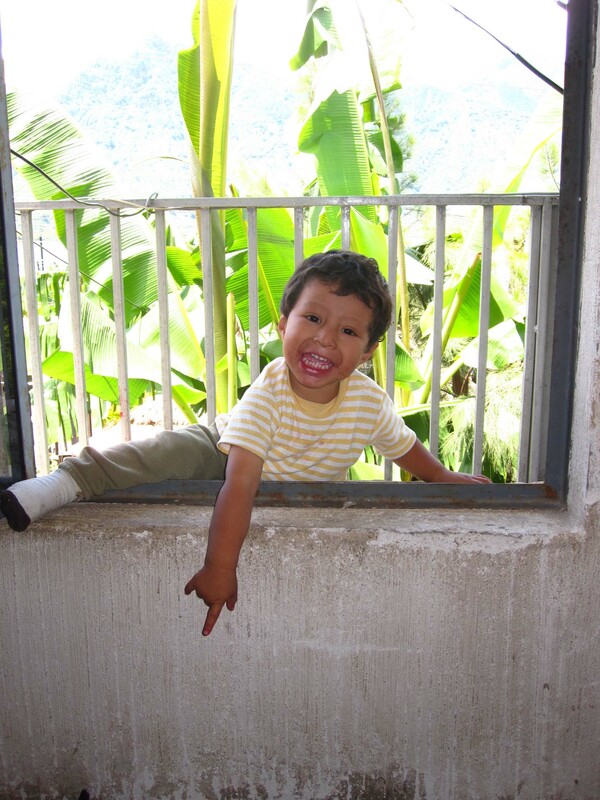 San Pedro Spanish School extends invites to everyone. During my first real week there my teacher learned that I play soccer, or really, love everything about soccer. He set to work organizing a game between the students and the teachers. Apparently, from time to time, the teachers like to scrimmage the students. To our benefit we had a good selection of players from around the world. We had the four Kiwis from www.angelstothehorn.com, an American from Minnesota, a dude from London, England, and for good measure, a doctor who brought the total Kiwi count to five. We played for about 2 hours in the small, synthetic field in San Pedro. The Kiwi’s didn’t have regular shoes because they only brought their rugged, steel-toed boots for the long motorcycle ride form Los Angeles to South America, so they played in their socks. 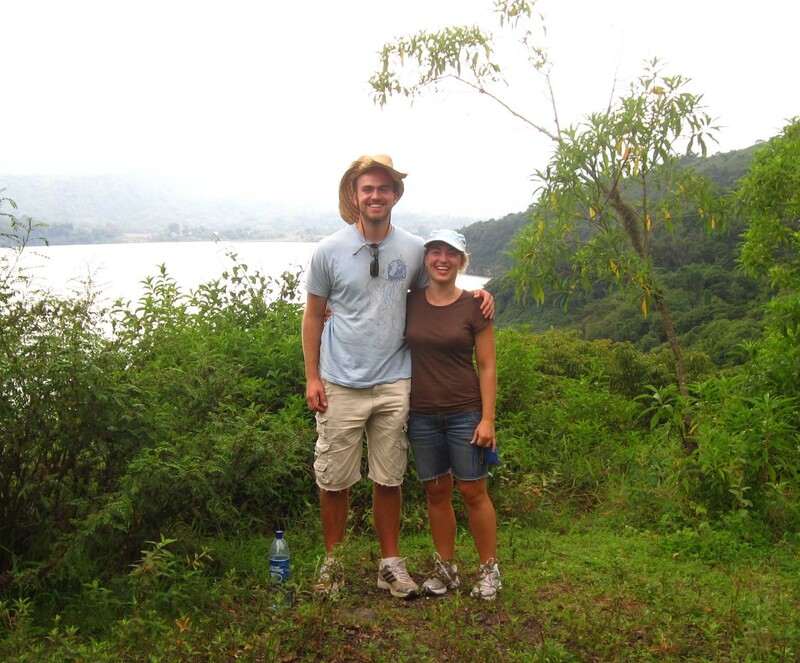 Quickly we realized that the Guatemalans were beating us quite badly. Our strategy shifted as we recruited a Guatemalan to play with us. Slowly, the score began to even. I guess the only way to beat Guatemalans is with Guatemalans. 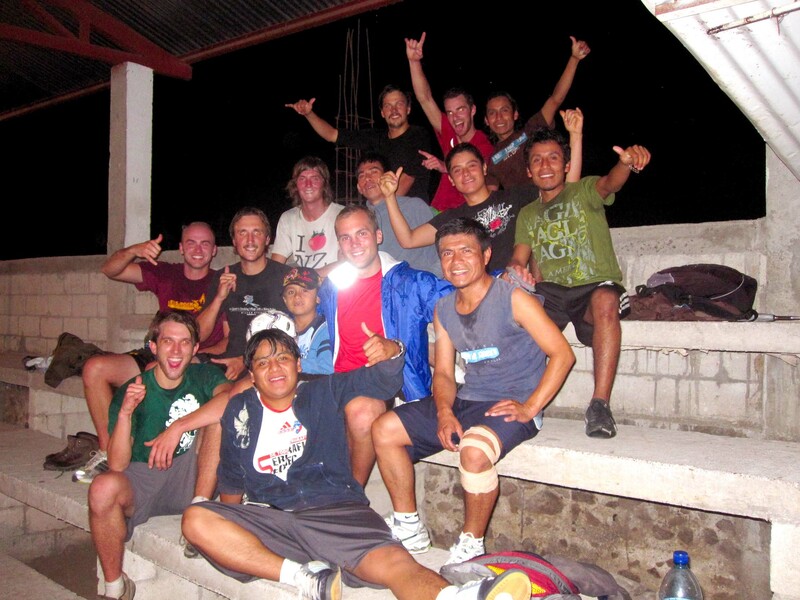 This entry was posted in I didn't plan this, San Pedro La Laguna on September 12, 2010 by Aaron. Sometimes, the most random things happen to you when you travel. I never thought I’d be singing Oasis songs on a borrowed guitar while sitting in a barber shop in San Pedro Guatemala while my friend from Australia was getting his haircut for a dollar and the barber and the other gentleman were conversing in the local Mayan language: Tz’utijil. I had wanted to get my haircut for quite some time, but I was hesitant to bring it up in class ’cause I thought it was a weird question to ask my teacher. 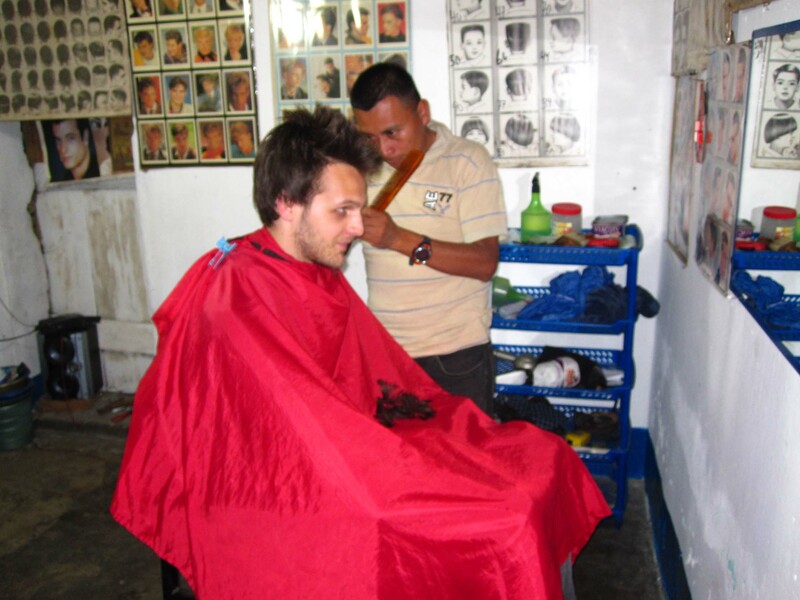 He didn’t think it was weird at all, in fact, I could see he was happy that I was interested in experiencing another element of Guatemalan culture: the Barber Shop. 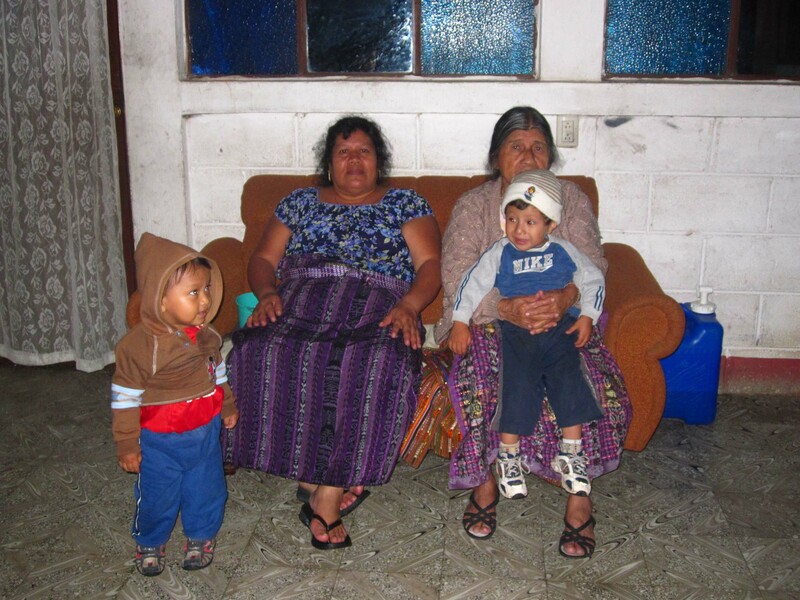 Most Guatemalans have good, clean haircuts. It always seems like their hair is well kept and trimmed. I always wondered how they managed to get so many haircuts because in the United States, haircuts can be really expensive. Not in Guatemala; haircuts are cheap. Well cheap to the gringo, like me, but probably cheap in general. It only costs 10Q to get your haircut, which is about $1.20. I would get haircuts all the time if they were that cheap and if I didn’t usually cut my hair myself. Well anyway, my teacher and I met up in the afternoon to go the barber shop. He had a friend that owned a little shop. When we entered the barber was sleeping and the lights were off. We woke him up by asking if his store was open. He responded with, “Por Supuesto!” which means “of course!” He turned on the lights and I jumped in the seat. It’s a good thing I know what size I normally use for clippers because it just made it incredibly easy. He did a good job. There was a guitar sitting next to me so I asked the barber if he played guitar. He responded that he was learning “poco a poco” and he asked if I did. I responded that I did and he wanted me to play it. I’ve had a few of those while traveling. 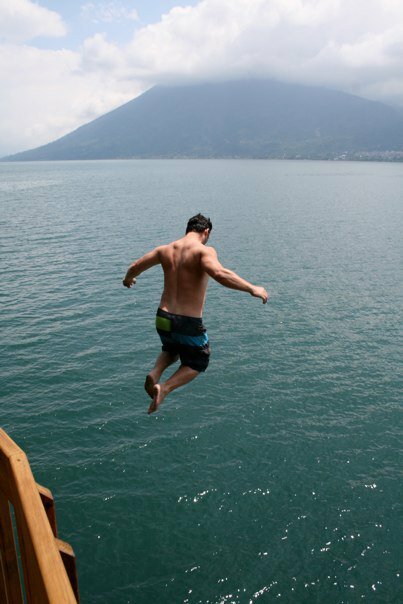 (One of the other one’s was jumping off a 9 meter rock into Lake Atitlan.) 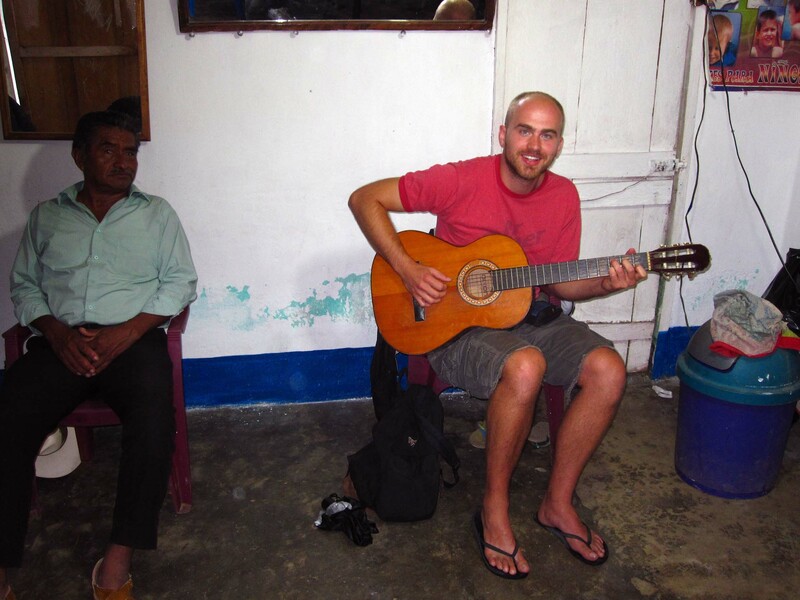 But this time, I grabbed the guitar and thought to myself, “Oh wow, what am I going to play for 2 Guatemalans and my Australian friend?” It was a good thing that Shane made a song request. He wanted to hear some Oasis. 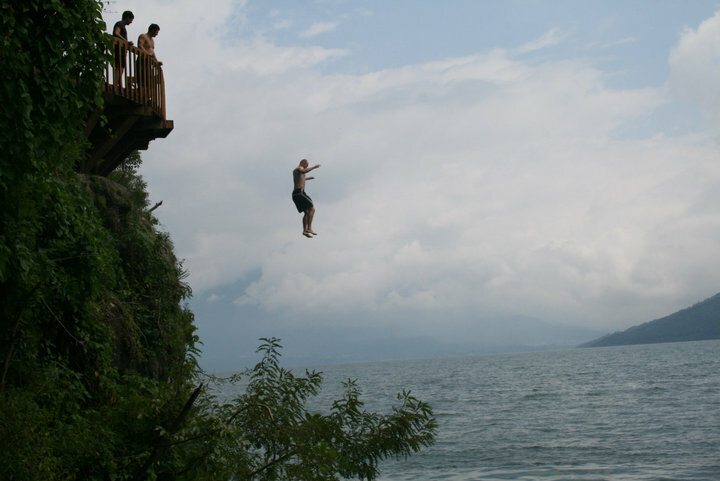 This entry was posted in Friends, Guatemala, I didn't plan this, San Pedro La Laguna on September 10, 2010 by Aaron. 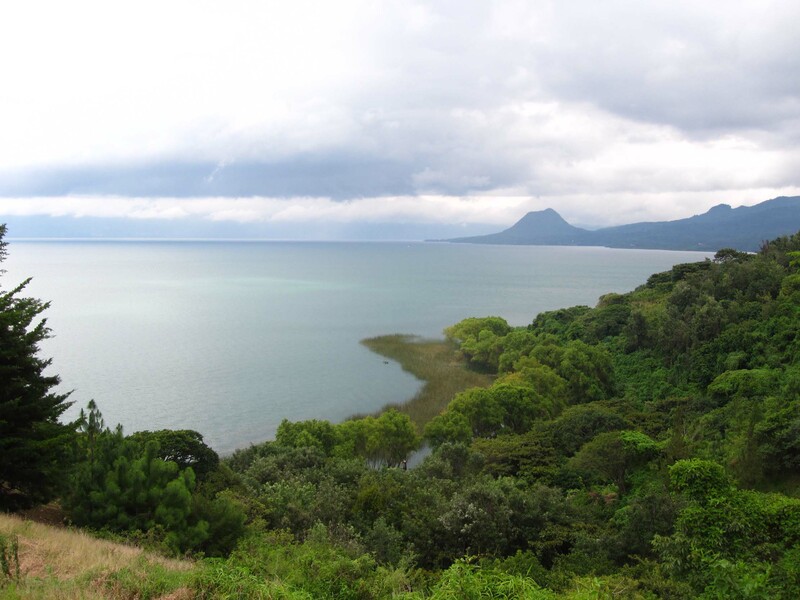 Would You Ride a Motorcycle from LA to Cape Horn of South America? You meet the most interesting kinds of people at Spanish school. One day, in walked four Kiwi’s wearing motorcycle jackets. I’ve quickly come to believe that everyone has an interesting story. Some people just tell theirs better. Many people I’ve met are on a mission. 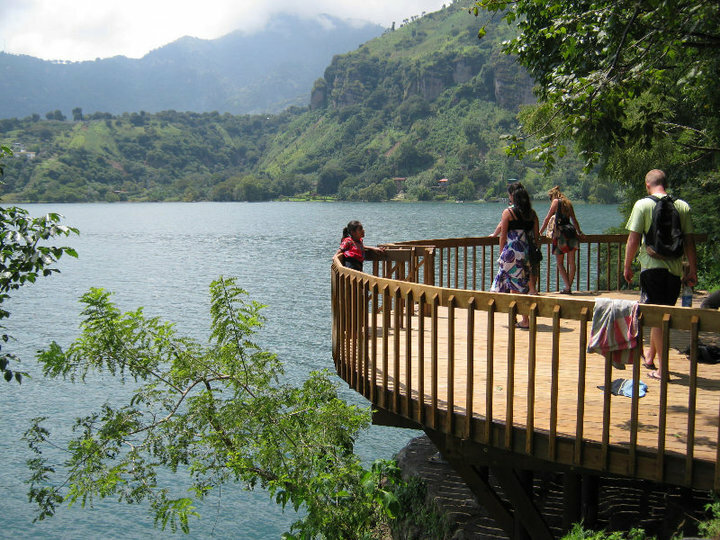 For some, it’s learning Spanish, for others its to see a part of the World, and for a few its simply just to relax in a slower pace of life. 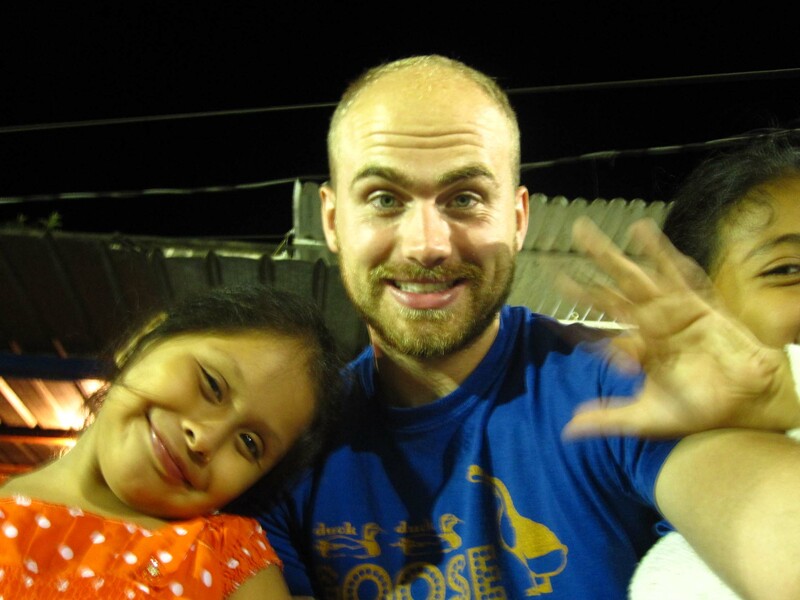 I started my own mission to travel, learn Spanish and volunteer in Microfinance and I am committed to that goal. I feel like those elements are kind of abstract. At different times, I’ve wrestled with how exactly I’m going to achieve those and what it really looks like to grasp them so that I know that I’m finished. I think one thing we’re missing in this digital world are the analog milestones we used to set up for ourselves so that we knew we were headed somewhere and we could look back and see how far we’ve come. It’s clear to me that these Kiwi’s have a real, tangible goal. They are going to ride several thousand miles to get to the bottom of South America. How will they know when they get there? When they see the coast. I applaud their effort and this “analog,” tangible goal. I really love the idea of long transport, and someday I’d like to do do a road trip across the USA. For now, I’m excited to keep up with these guys and their videos. Vistas + Violins from Danny Pemberton on Vimeo. This entry was posted in Friends on September 8, 2010 by Aaron. Guatemalan youth are quite good at soccer and they can kick the ball ridiculously hard at each other. I always feel bad for the goalie when I play. He’s got to withstand an aerial assault of shots from talented players at close distances, and I’ve never seen a goalie wear gloves here in Guatemala. They probably can’t afford it, but maybe it’s a sign of machismo, and being that most Guatemalan males try really hard to be manly, I can see why they’d scoff at the idea of goalie gloves. Still, I feel bad for the poor kid who has to stand in the net while the other kids launch deadly accurate soccer balls at his body. San Pedro has two main soccer fields and I visited both today. One is a smaller field that’s under an open air roof and consists of synthetic turf (not pictured in this post). 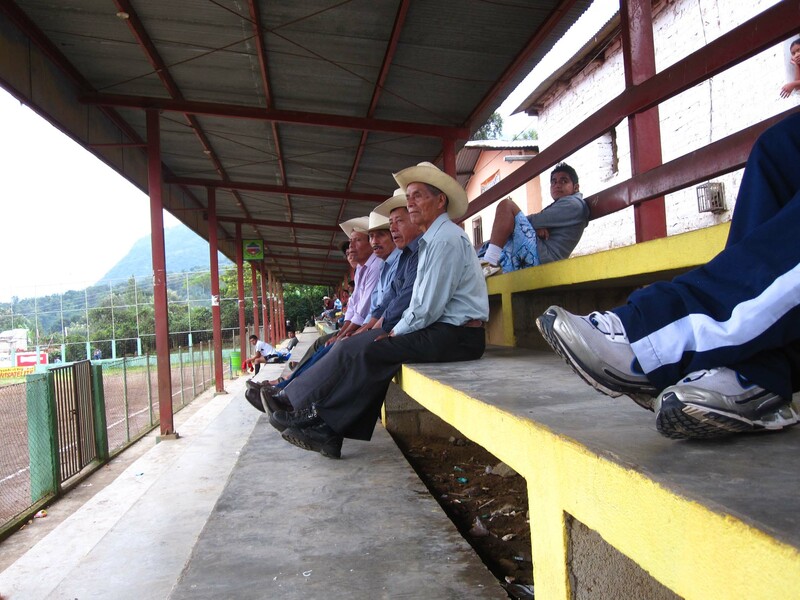 Concrete benches line the small pitch and there is a small tienda that sells snacks and controls the radio station. 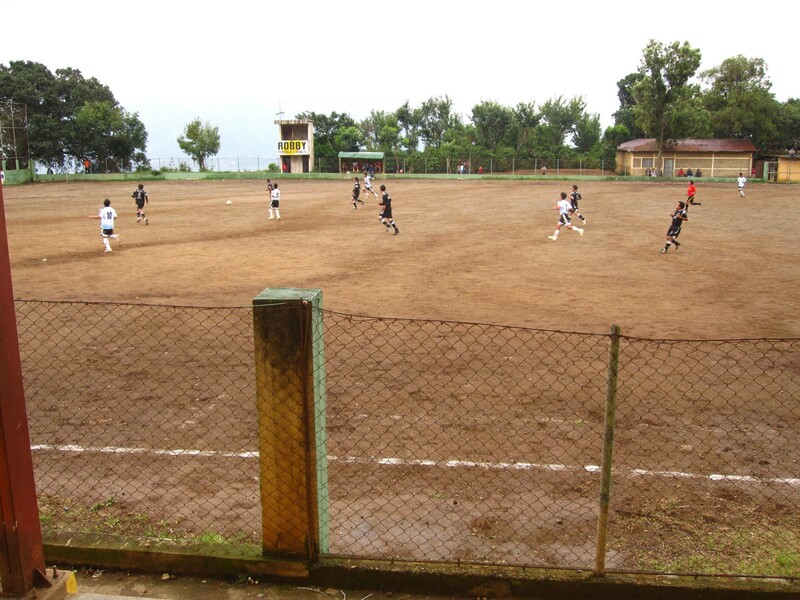 The other field, I commonly refer to as “arriba” (which means up), is almost entirely dirt (all the pictures in this post are from the arriba field). It’s a regulation size pitch with 25 foot high fences to block the ball from going into the lake. That’s actually a joke that the spectators told me today. We were about a half of a mile from the lake, but sitting in the stands you can only see the lake and the mountains in the distance, so when a ball flies out of the regulation area, you expect to see and hear a huge splash. Today, I played at the synthetic pitch and I showed up at 11:05. I thought I was late. A guy told me that Guatemalan time is different than American time. He was right. Twenty minutes later the rest of the youth showed up at field and we were ready to play. I like the style that they play here: five versus five and the first team to score a goal wins the game and the next team comes onto play. This way you can maximize the amount of playing time for everyone and get the most amount of games in during your time slot. Whenever you want to play, you have to rent the field. It’s about 80 quetzales to rent the field for an hour, or about $10, and split between 20 kids, that should be about 4Q per kid, but since I was a gringo, I paid 10Q. In reality, I should have paid 20Q or 40Q or maybe the whole price. I know it’s not a good idea to flaunt that you have money, it’s kind of an insult to the Guatemalans. 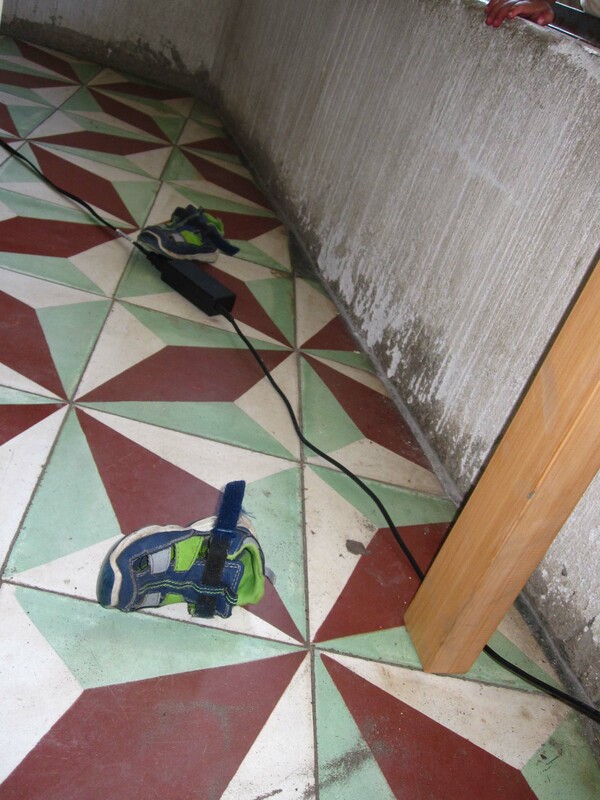 I know I really don’t have money by American standards, but in Guatemala, I’m a rich man. I found myself feeling guilty for having so much money in my wallet, and wearing my Adidas shorts, and one of my soccer shirts from a team back home. I felt bad for the other kids. They didn’t have tennis shoes, they didn’t always wear shorts, and they didn’t wear athletic shirts. They wore whatever they had. To play soccer for an hour doesn’t require as much preparation of a uniform, it just means that you need to show up. I kept thinking about all this while waiting for my turn to play again. I just felt bad, and guilty because I know I have so much. Oh yeah, and then there was the goalie. He rolled up his jeans so he could get better contact with the ball. He wasn’t wearing socks, and the shoes he wore were more like dress shoes. Like I said earlier, I feel bad for any goalie here. True, to my observation, this young guy was getting hammered with hard shots, but he was stopping all of them, without gloves. I kept thinking about how much his hands had to hurt, or how difficult it was for him to play without proper attire. Then I saw him smile. Actually, he hadn’t stopped smiling since I started watching him. Not just a smile to show relief of another blocked shot, but a smile to show that he was happy, really happy, continuously happy. I started looking at the other kids, and I realized that they were all smiling. They felt good about getting to play on the synthetic field, and they felt good that the were getting to play their favorite sport with their favorite people. I realized that I shouldn’t feel bad for this goalie, or for any other player. To do so would be making a judgment against him. Since he didn’t possess any semblance of a soccer uniform, I felt it necessary to have pity on him. This kid didn’t want pity, he didn’t want me to waste time thinking about things like that. He doesn’t have time for cultural analysis or the gap between the rich and the poor. All he has time for is soccer, his friends, and the opportunity to block another shot so his team stays on to play another round. 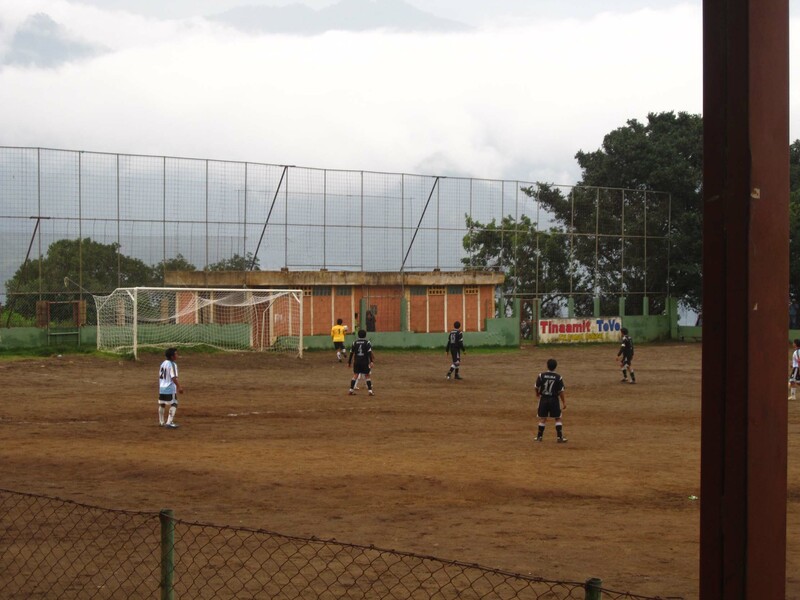 This entry was posted in Friends, Guatemala, I didn't plan this, San Pedro La Laguna, Soccer on September 6, 2010 by Aaron. 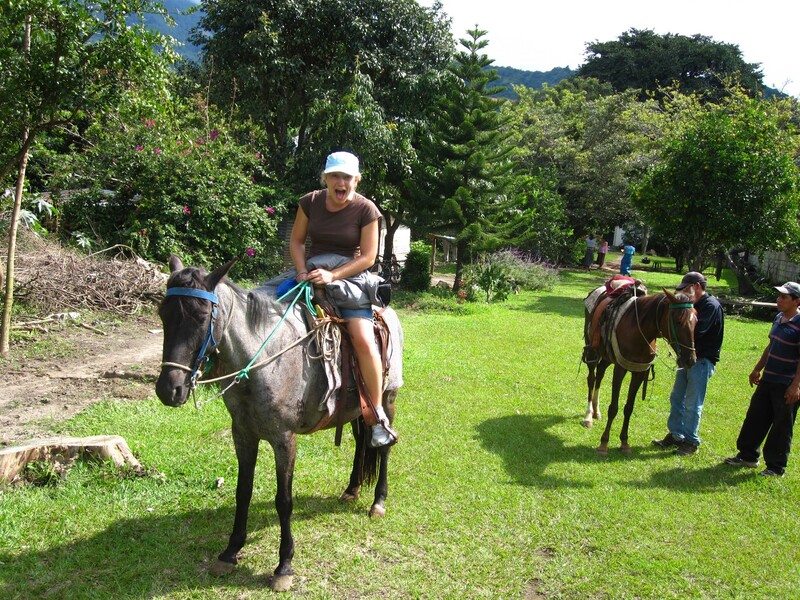 I waited for my sister to come to San Pedro before I did a horse riding tour of the area. 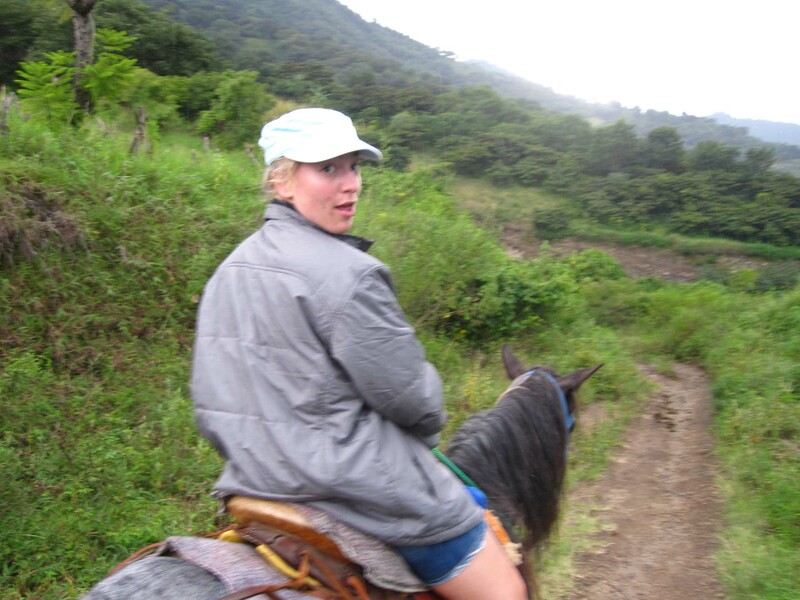 I had heard from many people that riding the horses was incredibly fun. 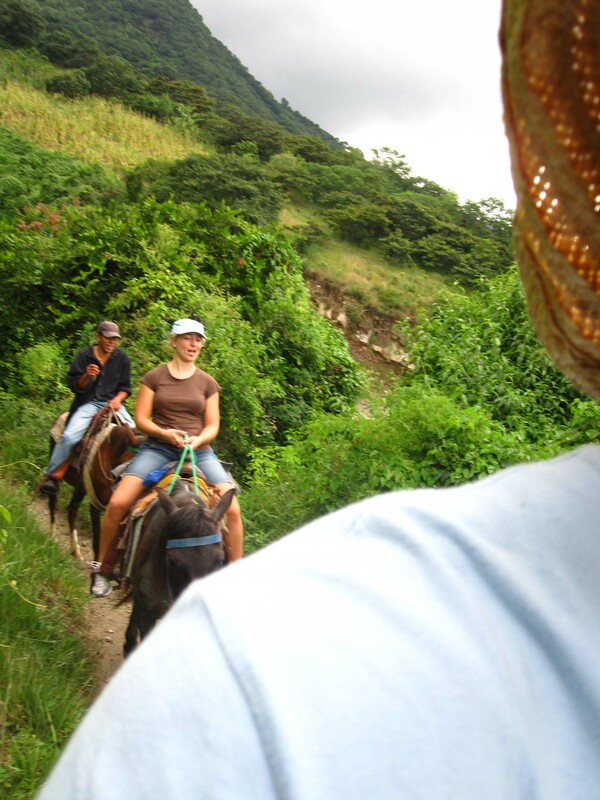 As she and I were walking around the town on Thursday afternoon we ran into Jose who sat atop a horse and asked us if we wanted to ride horses. 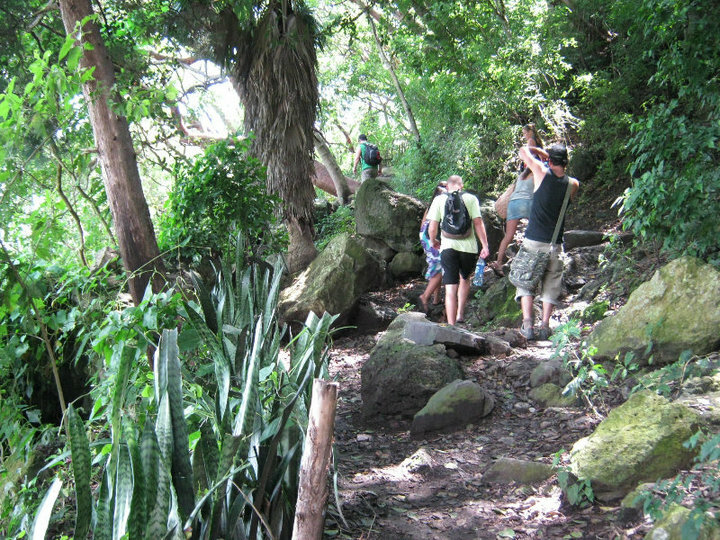 We said that we did and we wanted to know how much it was: 90 Quetzalas for three hours, or roughly $4 an hour to ride a horse. Yes, we felt like we were stealing horses. My sister was singing the entire time. Our guide loved it! The views from the mountain were absolutely incredible. 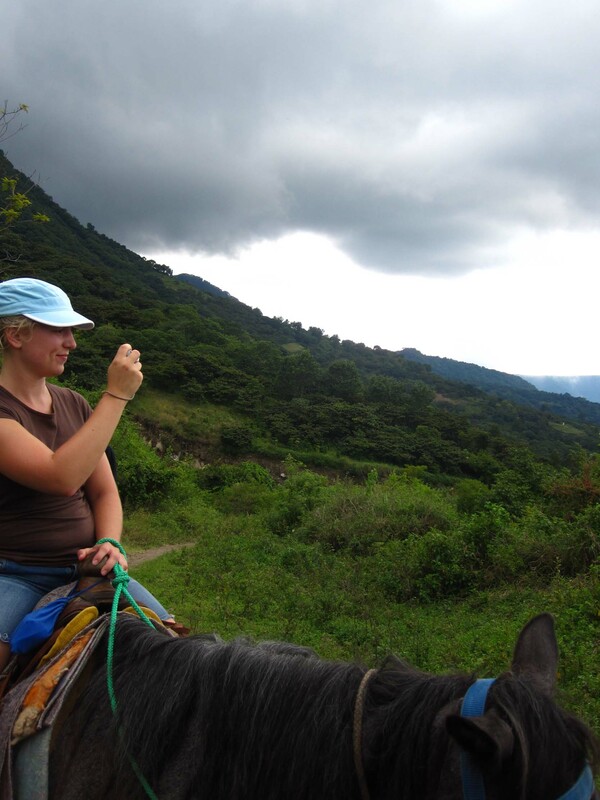 Amber, and her horse, “Muchacha,” became instant friends. It started to rain just a tad bit. But we really had an awesome time! 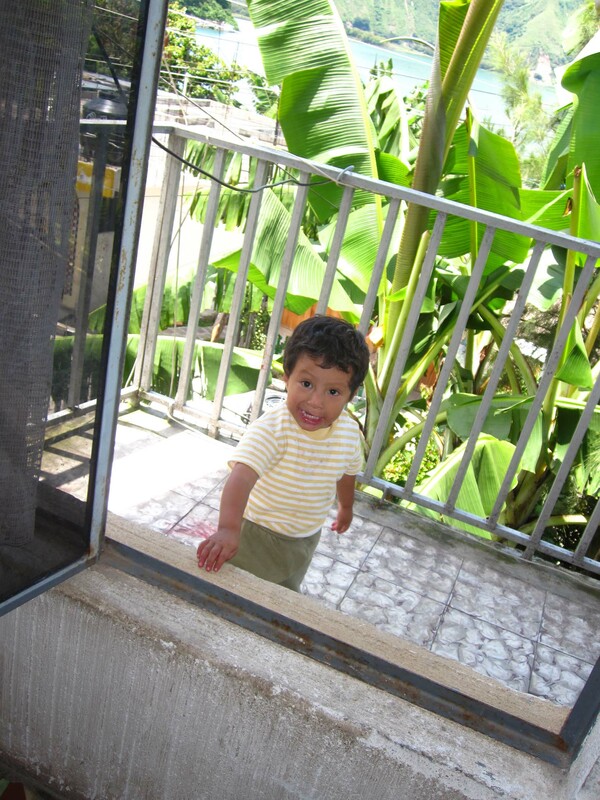 This entry was posted in San Pedro La Laguna on September 3, 2010 by Aaron.